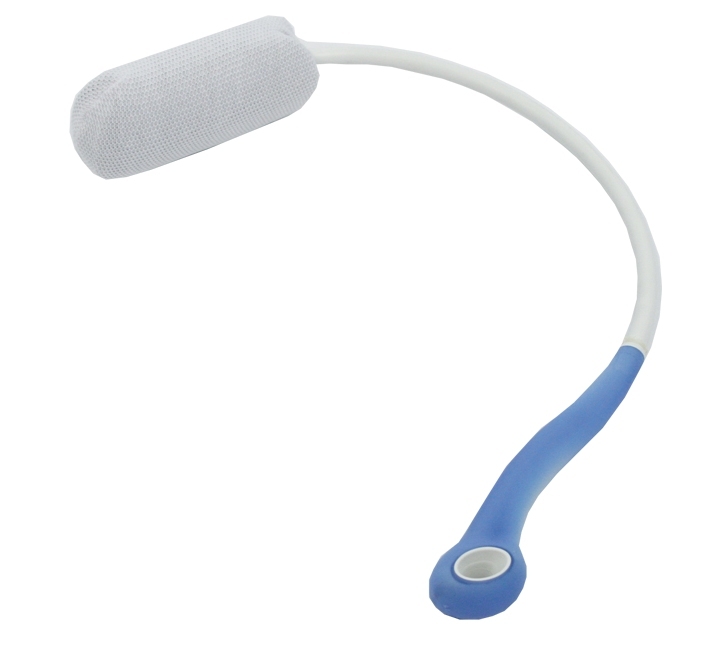 Long, curved handle scrub brushes provide easy bathing for persons with limited range of motion. Closed-celled foam is covered with comfortable nylon mesh for gentle scrubbing. Non-slip rubber handle provides a secure grip even when wet.